Visiplex provides commercial sites wireless solutions for automated weather alert notifications and overhead Public-Address paging. This enhances employees’ safety and improves response time during emergency situations. 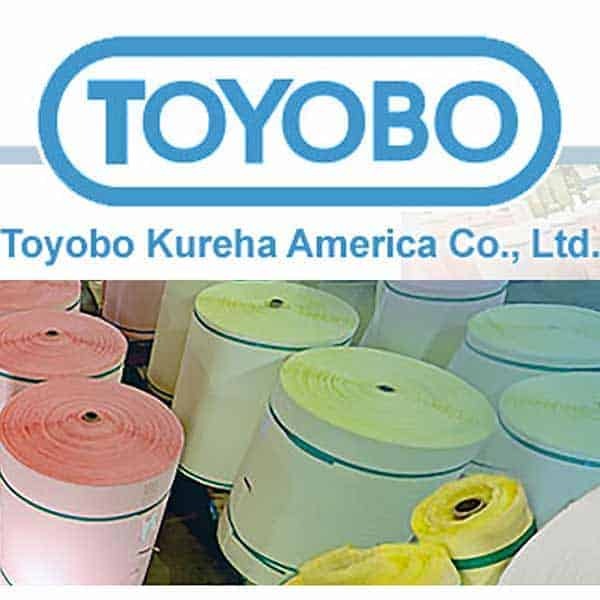 Toyobo Kureha America Co., Ltd. is in Cincinnati, OH, and specialized in the production and supply of high quality filtration media. After serious storms in the Cincinnati area, Mark Welch called Visiplex looking for a Public-Address paging system with automated weather alert capabilities to cover the entire 100,000 square footage of the manufacturing and warehouse area. He needed the system to include the ability to be heard over the machinery noise, automated activation of pre-programmed voice alerts when tornado warnings are issued, and the ability to expand the system when needed. Visiplex’s solution consisted of a VS4810 wireless paging base station, interfaced with VS3042 National Weather Service monitoring radio, for the main office, 3 sets of VNS2214-8 wireless, High-Power PA Horn speakers to provide full indoor/outdoor audio coverage. The proposed system was easy to install and operate. When the VS3042 monitoring radio detects a weather alert, it activates the VS4810 paging encoder to send an activation signal to all wireless horn speakers to play a pre-recorded “Severe Weather Alert” message throughout the facility. During normal everyday activities, the system provides instant voice messaging capabilities. The proposed system is fully wireless, eliminating costly wiring between different building areas, needing only an AC outlet for each controller to operate. The total cost of the system was approximately $3,200. Weather alert system where a PA paging controller monitors weather alert radio and automatically triggers voice message alerts through wireless PA speakers across the facility. Automated Severe Weather alerts to all facility areas. Powerful, wireless, Public Address horn speakers, provide full audio coverage throughout the facility . Employees’ personal safety and overall response time during emergency situations is improved. The system is fully wireless and expandable, allowing for indoor/outdoor PA speakers to be easily added or relocated.